One of the 3 leading pineapple producers in the world. What sets GGPC pineapples apart? Our fully integrated operation, where we are involved from the development of improved seed varieties, through cultivation, harvesting, processing and packaging, to final shipment of the finished product. Most producers buy pineapples from small local growers and process them, often at different facilities, and have no control over the process. We control and handle the entire process from start to finish, resulting in a consistently high quality premium fruit product... your ultimate guarantee of full traceability and food security. Pineapples are a labor-intensive crop, continuously harvested throughout the year. 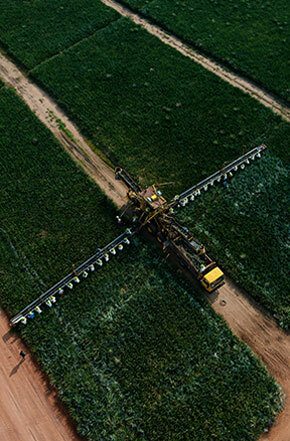 Each plant yields only one pineapple, and it takes over 27,000 individual plants to cover a single acre! Within hours of harvesting, the fruit is inspected, washed and graded according to size. The pineapples are then machine-peeled, producing cylinders of fruit. 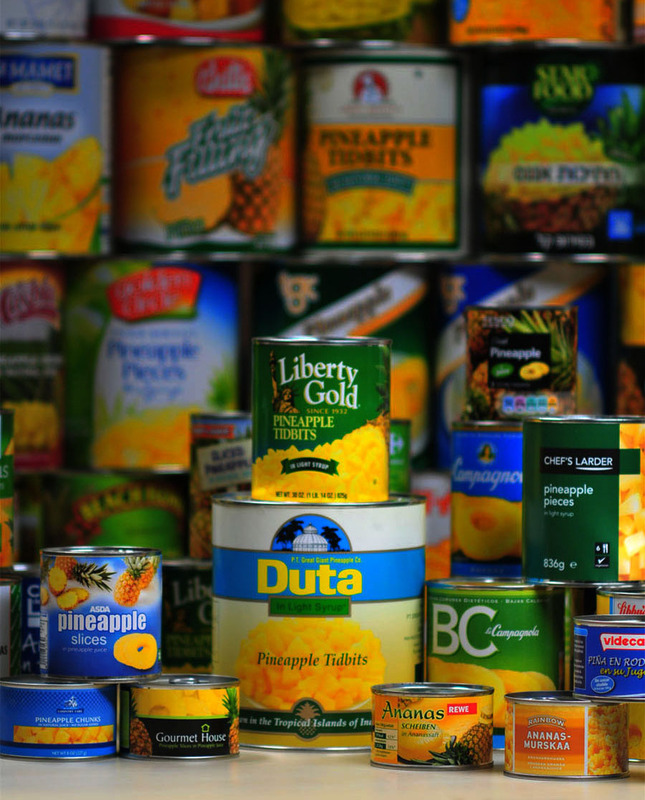 These are selected, trimmed and cut and the prepared fruit is then canned, sterilized, labeled and shipped to customers. We manufacture our own cans in a variety of sizes to suit different requirements, ranging from 8 oz. cans to 55 gallon steel drums. assiduously monitored, and we take great pride in the high quality of our products, which exceed stringent international standards. The greatest testimonial to our focus on quality is the tremendous trust placed in us by our partners. Our products have been awarded ISO 14000 and SA 8000 certification, and the 2004 award from Kehati, one of Indonesia’s foremost environmental organizations, further validates our sustainable efforts in going green.